Las Vegas-based Sharetown helps people buy, sell, or rent things safely and securely in their communities with their friends and neighbors. “We like to think of it as a safe Craigslist,” said Jorja Leavitt, Co-Founder of ShareTown. “We really wanted to find a way to be able to share stuff that we weren’t using easily. It’s the idea of collaborative consumption that got us all very excited. We soon recognized that people wanted a way to buy and sell hyper locally too, and it was the same customer that we were targeting. People didn’t want to have to go far and wanted to be able to deal with people they knew and trusted. The team has built features for people to give ratings on other members, and users can view Facebook profiles before they decide to do a deal. 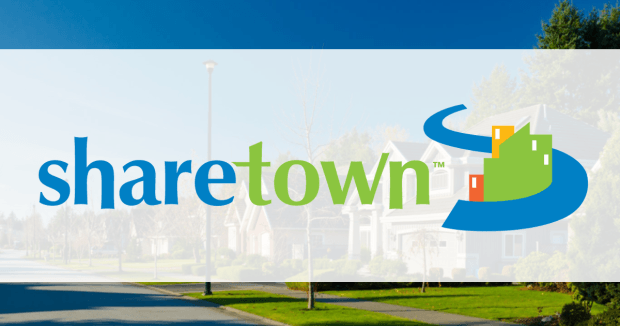 Sharetown is founded by three founders who have known each other for over a decade and have worked together on a few other successful startups. For her part, Leavitt has been in the marketing field in technology and uses her experience from that. Prior to ShareTown, she was an online marketing consultant. She has also worked for Orangesoda as their Director of Marketing and Marchex where she partnered with companies such as Netflix, AutoTrader, Esurance, Hotwire, and Kodak, assisting in their online marketing efforts. She has owned several online businesses, produced an audio book, and created a successful service business. The team says the biggest challenge so far for the company has been keeping things simple. The Sharetown team has big plans for 2015. They are currently licensing the platform out to several media companies who want to offer it to their communities. Leavitt says the team plans to continue on this path to continue growing. “We hope to reach critical mass in a few different markets so that we can focus on the rental side of things because we see that as a huge opportunity,” she added. The Sharetown team says they would love to have the #VegasTech community help them in the Las Vegas market by using the Sharetown platform and giving feedback. Community members can check out groups including the Las Vegas and Centennial Hills groups.